Khalsa strode confidently into the final 32 of the FA Vase, seeing off neighbours Walsall Wood. Following last Saturday’s 1-1 draw between the two sides in the league, the stage was set for an arguably bigger prize as two of the competition’s favourites lined up to do battle. 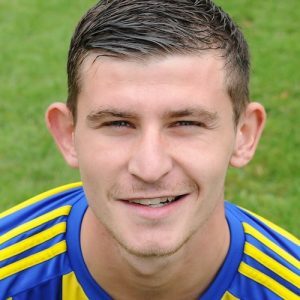 Khalsa boss Ian Rowe took the bold decision to leave out top scorer Dan Westwood in favour of in-form Jay Holdcroft while first choice keeper Sam Arnold made way for a third successive game for Dale Reaney. It was a decision that proved a masterstroke. Reaney produced a number of brilliant saves to keep Wood at bay while Holdcroft grabbed another goal – his 11th of the season – and played a vital role in the other two. Holdcroft went ahead thanks to Holdcroft on nine minutes, the striker forcing a good save from Reiss Wagstaff but reacting quickest to latch onto the rebound and put the hosts ahead. Wagstaff was back in action just two minutes later, Liam Armstrong – industrious and creative throughout for Khalsa – embarking on a mazy run which bypassed several Wood defenders and ended in a shot which was well saved. Wood almost got back on level terms two minutes later from this, a low angular shot by Eli Bako was destined for the corner of the goal before the first of Reaney’s good saves. The game decisively turned on 33 minutes when Wood’s Jordan Nadat was chasing for a long ball with Khalsa’s Shawn Boothe, tripped and proceeded to foolishly and inexplicably headbutt the wall of solid muscle that is Boothe’s chest, receiving an instant red card in addition to looking daft. Three minutes later, Holdcroft was hacked down in the box and up stepped Alex Woodhouse to double the lead from the spot with his first of the season. Khalsa started the second half seeking to impose their man advantage. Wagstaff pulled off a great save on 53 minutes to deny Dave Meese at the end of an intricate attacking move while at the other end Reaney then pulled off a great stop to deny Kyle Rowley, pushing his powerful header on to the woodwork. On 65 minutes, Armstrong was fed by Rico Taylor and lashed a shot which was parried by Wagstaffe and almost enabled Holdcroft to head home. The game was sealed on 67 minutes, Holdcroft chasing a long ball back to the keeper and putting on enough pressure to force him to kick straight to the looming Armstrong who controlled and fired a great shot into the net. A side as good as Wood were never going to lie down and threw caution to the wind in the later stages. Reaney was forced to make a good save from Joey Butlin’s goal-bound freekick on 78 minutes and with three minutes on the clock Lee Butler pulled one back with a rocket from just outside the area. As the game ticked into stoppage time, Bako should have done better as the ball was crossed into the box, but he put his header wide. The result means Khalsa are in the draw for the fourth round which takes place on Monday. Sporting Khalsa: Dale Reaney, Carlo Franco, Adam Osbourne, Shawn Boothe, Tes Robinson (captain), Alex Woodhouse (Alex Perry), Liam Armstrong, Dave Meese, Jay Holdcroft (Dan Westwood), Rico Taylor, Mensah Kinch (Luke Adams). Subs not used: Leon Miles, Sam Arnold.